This is the first in a series of blogs (three I think) in which I’m trying to organise my thoughts on Interoperability ahead of being a panel member at the 3rd UK Resilience Conference. That means it runs the risk of being a little bit word-vomity…sorry. That’s how I feel about interoperability. 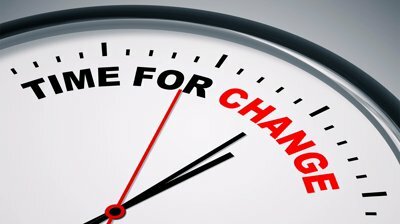 Whilst current ways of working have done us well we’ve reached a tipping point where a new paradigm is required to meet present challenges. A combination of reduced public sector resource, increasing demand and rising public expectation for services means the “we’ve always done it like this” attitude doesn’t hold water. I’m not a believer in change for the sake of change, but we do need to accept that not enough has been done to learn from the past. At the Global Resilience Summit this week John Arthur used a mobius strip to illustrate a point about continual development, refinement and evolution in resilience. The same metaphor was used by Abcouwer and Parson in their Adaptive Resilience Cycle model. We’ve been stuck too long in the status quo corner. Luckily there have been relatively few crises (especially in the UK). 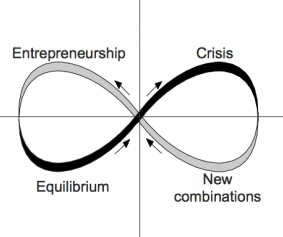 However, where disasters have happened systems have lurched forwards from their equilibrium state to new conditions. Post Katrina America is a good example – for all it’s flaws, the reforms have generally been positive, as this PBS clip explains. Whilst the crisis may not have taken expected forms (i.e. emergencies or disasters) the financial pressures to deliver more for less means provides the imperative to explore innovative approaches to old problems. Interoperability shouldn’t be difficult. There are some great examples coming out through JESIP that go to show that if you have the commitment to work together it’s do-able. The joint doctrine is just one step towards embedding interoperability. New combinations and better understanding has been initiated, but let’s not stop there. We need to continue to push the boundaries, challenge the orthodox and innovate. It can be scary, but we’ve proven that ‘the way we’ve always done it’ just isn’t sustainable.